Great deal! 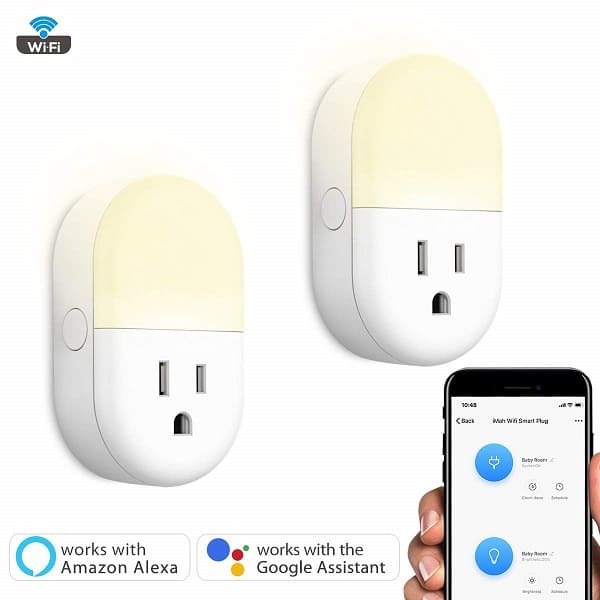 This wifi Smart Plug works with Alexa, and Google Assistant, and you can get TWO of them for only $13.49 when you use the code DP8JWGGG at checkout! This wifi smart plug comes with a night light at the top! Install it in the hallway, the living room, the baby room, or anywhere you need it! Control it with your voice through select Alexa or Google Assistant devices. Features adjustable brightness, and you can also remote control and adjust the brightness through your smart phone app. Unlike other normal standard wifi plugs, this smart plug does not obstruct the second outlet once plugged in. How cute is this backpack?? Kids will love this adorable Mouse Backpack with its ears and bow. Right now, you can get this for 50% off – only $14.99 (reg. $30). This backpack is made from lightweight, durable faux leather backpack and has zipper compartments. One backpack has a bigger bow while the other has two tone ears and has a small carry loop. These are perfect for your kids to carry everything they need and want to take with them while you are out and about! How many of you love the color green? 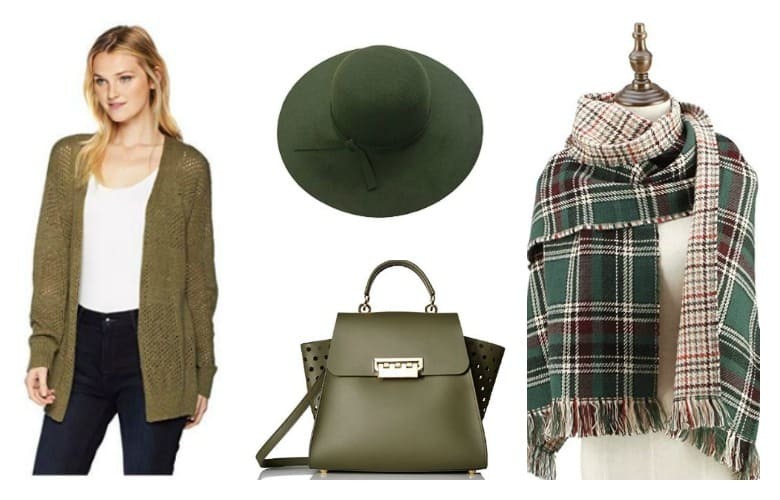 If green is your favorite color and you’ve been looking for new clothes and accessories, you’ll want to check out these Women’s Fashion Shades of Green starting at just $7.99. These Splendid Women’s Nieves Loafer Flats would look cute with jeans, dressy pants or skirts. These are priced as low as $55.76. 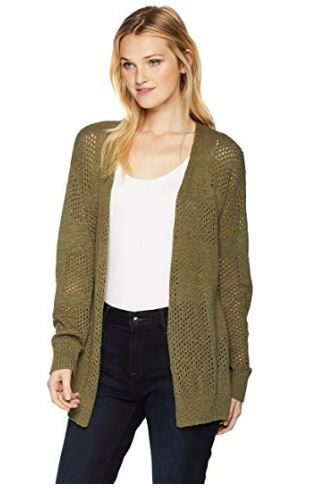 I live in cardigans in fall and winter, and this Roxy Women’s Summer Bliss Cardigan Sweater in burnt olive is the perfect color for cold weather months. Get this for $50. 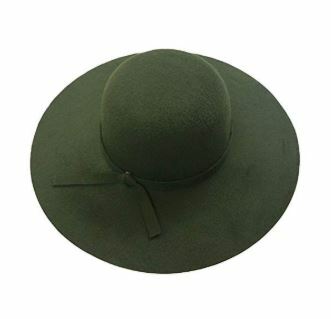 If you love big, floppy hats, you’ll want to grab this King Ma Wide Floppy Vintage Sun Hat. This is priced at $7.99. I love blanket scarves because they are a great way to keep warm. 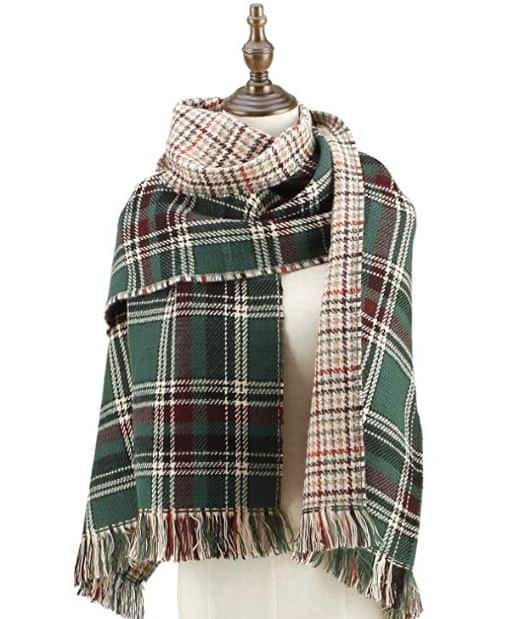 This CHERRY CAT Oversized Blanket Scarf in green is really pretty and on sale for $12.99. Want to treat yourself to a new purse? 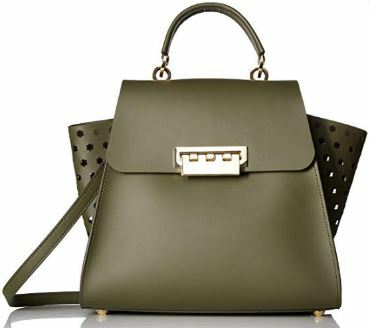 This Zac Posen Eartha Top Handle-Hex Floral Perforation Purse is classy and trendy – a must-have! Get this for $192.61. And, if you like moto leggings, you’ll want to grab these Skinny Low Waist Pencil Pants in army green. These are priced at just $25.99. Grab this Halloween Pumpkin Carving Kit for only $6.99 when you use the code 6PKEV8FF at checkout! Creating a jack-o-lantern is a fun job for the whole family. 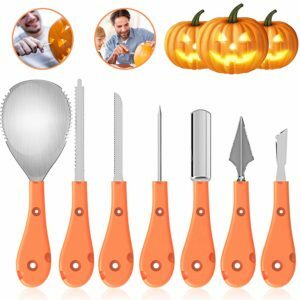 LEKNES pumpkin carving kit is a professional tool set to makes the job much easier. Made of riveted stainless steel, they’re long-lasting and you can use them year after year. Have a little boy or expecting one? He’ll stand out in one of these hip and modern Baby & Toddler Boy Sets. Right now, these adorable clothing sets are a steal at just $13.99 (reg. $39). I am obsessed with all of these sets! The buffalo plaid set is one of my favorites because it’s perfect for winter. I also love the baby bear set because lots of moms call their babies their baby bears! These outfits are so cute that you’re going to want them all for your little man!